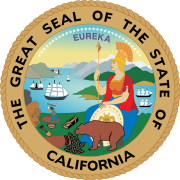 The 2006 California Superintendent of Public Instruction election occurred on June 6, 2006. Incumbent Jack O'Connell defeated Daniel L. Bunting, Sarah L. Knopp, Diane A. Lenning, and Grant McMicken to win a second term, winning at least a plurality in every county. ^ "Election Results" (PDF). Secretary of State of California. 2006-03-08. Archived from the original (PDF) on 2008-07-31. Retrieved 2008-07-29.